Luxury conglomerate Richemont reported “robust” growth, primarily thanks to demand in Europe and Japan, as well as strong sales at its own boutiques, with jewellery outperforming watches. Richemont, which owns brands like Cartier, IWC and Jaeger-LeCoultre, saw its sales increase 4% for the five months to August 2015, excluding gains from fluctuating exchange rates. A seemingly modest figure, but respectable given the overall climate in luxury watchmaking. The Swiss luxury group formally known as Compagnie Financière Richemont SA reported its five months results on September 16 during its annual general meeting. Here are the key takeaways from its results: – Europe and Japan performed best. European sales were driven by tourists and up by 26%. Revenue in Japan was up 48%, helped by sales to tourists thanks to a weak yen. – Described as “extremely challenging”, sales in Asia Pacific was down 18%, with sales in Hong Kong and Macau “significantly lower”, continuing the trend. Chinese sales, however, were up at Richemont’s own boutiques. – Sales at Richemont’s own stores were up 14%, but sales to its retailers were down 6%. This indicates that luxury watch retailers are reducing their inventories and not replenishing them, expecting the slowdown to persist. – Sales at its jewellery division (namely Cartier and Van Cleef & Arpels) were up 6%, compared to a 1% drop for watches. Richemont’s watch brands, including names like A. Lange & Söhne, Panerai and Vacheron Constantin, “suffered from weak demand in the Asia Pacific region”. 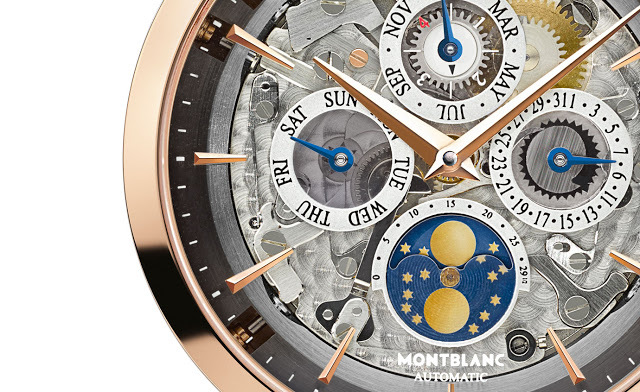 – Montblanc was cited for its positive performance, meaning chief executive Jerome Lambert’s turnaround is working.